Citrulline is a non-essential amino acid shown to boost nitric oxide production in the body. Nitric oxide helps arteries work relax, enabling them to work better and improve blood flow in the body. Leucine is a branched-chain amino acid that is burned by your muscles for energy. It also has been shown to help regulate blood-sugar levels and growth and repair of muscle tissue. D Vitamins play several key roles in the body, including absorbing calcium and phosphorus from foods, which promotes healthy bone growth. Vitamin D also helps modulate cellular growth and immune function within the body. B Vitamins (including thiamine, riboflavin, niacin, pantothenic acid, pyridoxine, biotin, folic acid, and cyancobalamin) support various enzymes that help convert food to energy. B Vitamins serve as co-enzymes that assist in specific metabolic processes to break down fats, amino acids and carbohydrates for energy. Potassium is a mineral that is necessary for healthy heart, kidney, and other organ function. Potassium is used by the body to build proteins, break down carbohydrates, and build muscle. Pantethine is a pantothenic acid that is used to help promote healthy cholesterol levels and assist the immune system. 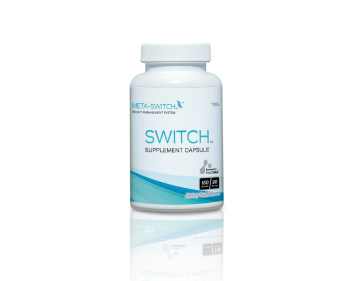 Switch has helped empower many different people achieve better health and wellness. Here are some of their stories.